On Your Feet! 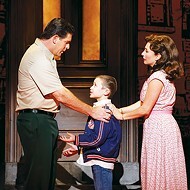 tells the story of Gloria and Emilio Estefan’s family and music. 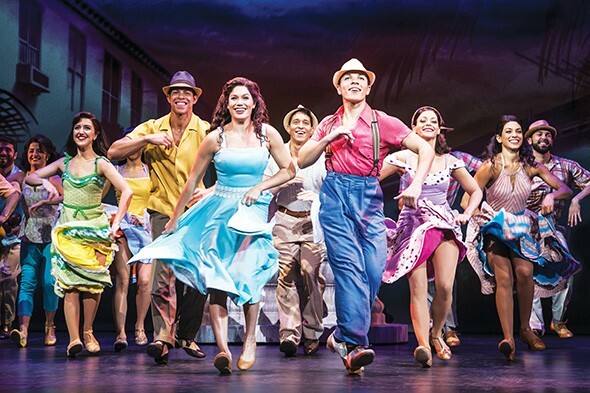 Christie Prades center plays Gloria Estefan in On Your Feet! Some songs and the musicals named after them are an open invocation to the audience, a call to live life to the fullest and overcome challenges. This is especially true with On Your Feet! The Story of Emilio & Gloria Estefan, presented by OKC Broadway Tuesday-Feb. 10 at Civic Center Music Hall, 201 N. Walker Ave. Tickets are $27-$86 and are available at okcbroadway.com. On Your Feet! follows the lives of Gloria Estefan (Christie Prades) and Emilio Estefan (Eddie Noel), tracing their musical journey to stardom but also the highs and lows of their personal lives and the lives of their closest family members. Broadway veteran Nancy Ticotin is playing the role of Gloria Fajardo — Gloria Estefan’s mother — and she spoke to Oklahoma Gazette about her experiences on the stage and in On Your Feet! Ticotin got her start in New York musical theater very early, coming from an artistic family. 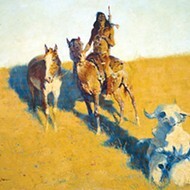 When she was a girl, Ticotin and her siblings would put on shows for their friends and neighbors, improvising everything and charging admission. Ticotin started dancing when she was 9 years old, attending summer dance classes as part of a program called Operation High Hopes in which she focused on jazz, ballet, flamenco, modern and ethnic dances. 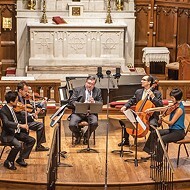 The summer culminated in a performance in the Naumberg Bandshell in Central Park. Even after the summer, Ticotin continued to study dancing, acting and singing under the direction of Tina Ramirez, who founded Ballet Hispanico and Ticotin said worked to ensure that Hispanic children could find outlets for expressing their artistic talent. Ticotin performed in the Broadway production of The King and I when she was 10 years old, later starring in West Side Story on Broadway and playing the role of Anita on its European tour. She would also reprise the role of Anita in Jerome Robbins’ West Side Story Suite and would later perform in Lin-Manuel Miranda’s Broadway production In the Heights. Ticotin said that performance is ingrained in her. “You don’t choose dance; dance chooses you,” she said, quoting Martha Graham. On Your Feet! 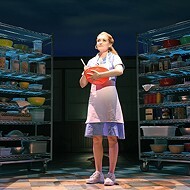 is a jukebox musical about choices — and, sometimes, the lack thereof. The show traces Gloria Estefan’s musical origins, including her choice to join Miami Latin Boys, the group in which Emilio performed that would later be renamed Miami Sound Machine. This choice helps launch her musical career, but it also creates a chasm between herself and her mother, who disapproves of this decision because it will take Gloria away from her father, José Fajardo, who contracted multiple sclerosis from Agent Orange after serving in the Vietnam War. “When Emilio shows up, he’s taking her away from household duties, from all the things the mother had,” Ticotin said. Fajardo’s own life was marked by challenges, both personal and professional. In the song “Mi Tierra,” the entire band and dance company are onstage with Ticotin. But in the middle of the number, Ticotin said, Fajardo’s husband comes in and warns the family that they must leave Cuba. He is imprisoned for two years in Cuba but eventually makes his way to the United States, where the rest of the family has fled. Gloria Fajardo, young Gloria and Gloria’s grandmother, Consuelo García, forge a life together in the Little Havana neighborhood of Miami. Fajardo had to relinquish her dreams and her music in order to take care of her family, studying again for degrees in education studies that she had already received in Cuba. “They tore up her degree before she left Cuba, so she came to the United States and had to get it again,” Ticotin said. Ticotin described Fajardo’s character as stubborn, headstrong and incredibly knowledgeable, the family matriarch who worked hard to ensure her family’s success at the expense of her own. Fajardo would not speak to Gloria for two years, until the near-tragic 1990 car accident that left Estefan nearly paralyzed, Ticotin said. When Fajardo travels to the hospital, she reconnects with her daughter and Emilio. Ticotin performs another song (“If I Never Got to Tell You”), written specifically for On Your Feet! The song began as a melody written by Estefan’s daughter Emily. The two composed lyrics for the show together. On Your Feet! covers Gloria and Emilio Estefan’s lives, from courtship to their chart-dominating period. Ticotin said portraying Gloria Fajardo was both complex and rewarding, marked by the challenge of representing a real-life person onstage while also drawing on her own talents and sense of self. 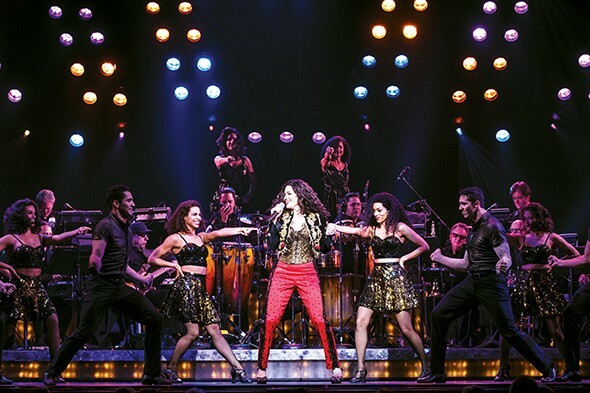 While Fajardo passed away before she could see On Your Feet!, Ticotin said she discussed her portrayal with Gloria Estefan and earned the seal of approval from Emilio — and even from a fire marshal at one of the show’s performances, whose sixth-grade teacher was Fajardo. In addition to bringing complex, three-dimensional people to life, Ticotin said that performing On Your Feet! is also an exercise in responsibility and representation for the Hispanic community in the current political climate.